It often occurs to me as a travel writer, that I jet all over the world but know little of home. Northern Ireland is one of those places I hadn’t had the pleasure of visiting despite not needing a passport to go there. That’s right, us Brits can fly there passport-free – it’s in the UK, of course. 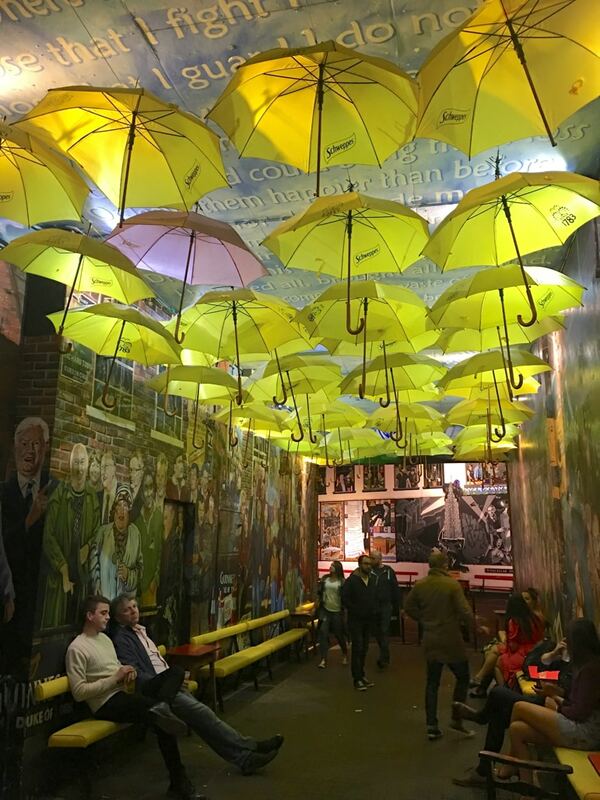 But Northern Ireland is different enough to make you feel like you’ve gone abroad, and there are countless things to do in Belfast that can take first-time visitors like me beyond the Troubles and the clichés to discover one of Europe’s rising city break stars. Now that may appear a cliché in itself – a rising star of travel. But clichés and stereotypes are often born out of reality, and Belfast really is attracting a lot of attention right now. It is gaining a reputation for the effervescence of its people and its culture, which draws on centuries of traditions, but is also evolving and gaining a lot of cool credits as a city of film, art and innovation. Belfast’s Titanic Studios has not only produced some popular films but the television programme of the past five years. It is home to Game of Thrones, and many of the locations in the programme can be spotted close to the city and along the Causeway Coast – the dramatic coastline that encircles the rush of green fields and pastoral lands studded with villages and historic landmarks that lend Northern Ireland the same appeal as southern Ireland. When, following my visit in autumn, Lonely Planet announced Belfast and the Causeway Coast as its number one region in 2018’s Best in Travel; it was no surprise to me. I’d already had the pleasure of winding my way from the city around that Causeway Coast and beyond, exploring many places to go for a Game of Thrones experience along the way. But even as a Game of Thrones fan, I found there was so much more to Belfast that I loved. Take a look at my experiences in Belfast and beyond here. 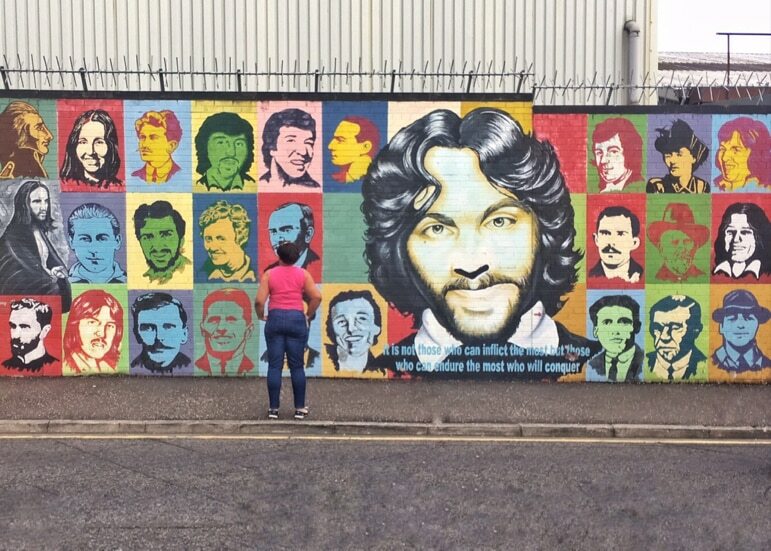 To really get to grips with Belfast though, you need first to have a sense of its past – or at least I felt I did. Previous to my visit all I knew of Belfast was of a city marred by the divisions of people that lived tooth by jowl. 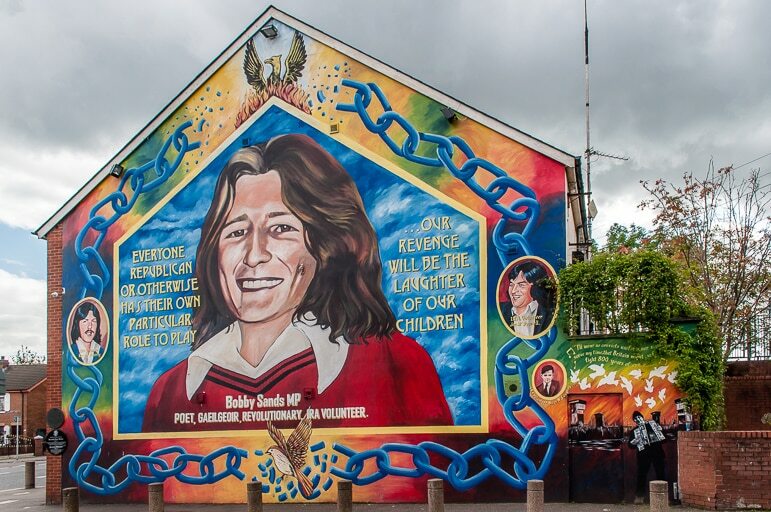 The concept of love thy neighbour did not seem to cross from the Falls Road to Shanklin Road in what appeared to me – to many – to be a conflict founded on religious differences and exacerbated by politics. As I’m no historian and this section largely details my experiences and knowledge, I’d recommend you take a moment to read a brief history of Northern Ireland from Troubles to Peace. To my mind (perhaps one swayed by a certain amount of propaganda) that this was Northern Ireland’s conflict, and, with that, Belfast was a conflicted city where religious hatred ruled and people would likely never be able to live alongside each other peacefully. But I’d been in Belfast just minutes when these preconceived notions were shattered and I gratefully received a schooling in Belfast’s history. At our request, our guide Dee took us to areas infamous for incidents during the period in the city’s history known as the Troubles – such as The Falls Road, and Shankill Road. 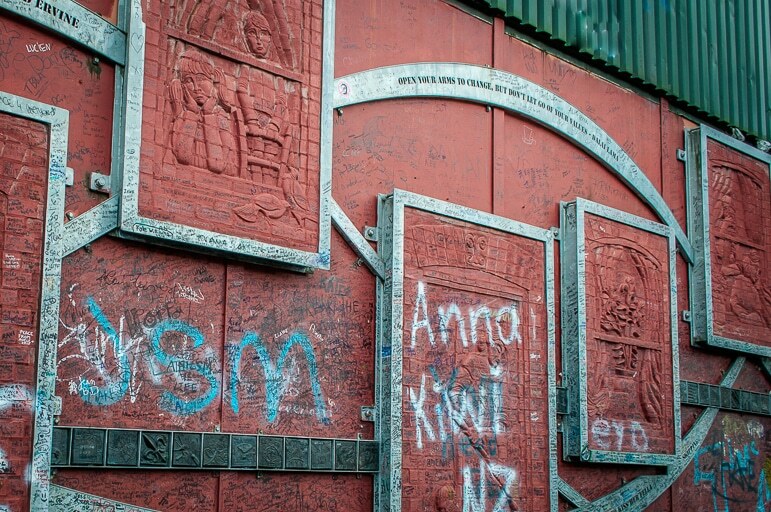 She also shared with us the reality of growing up in a divided city. 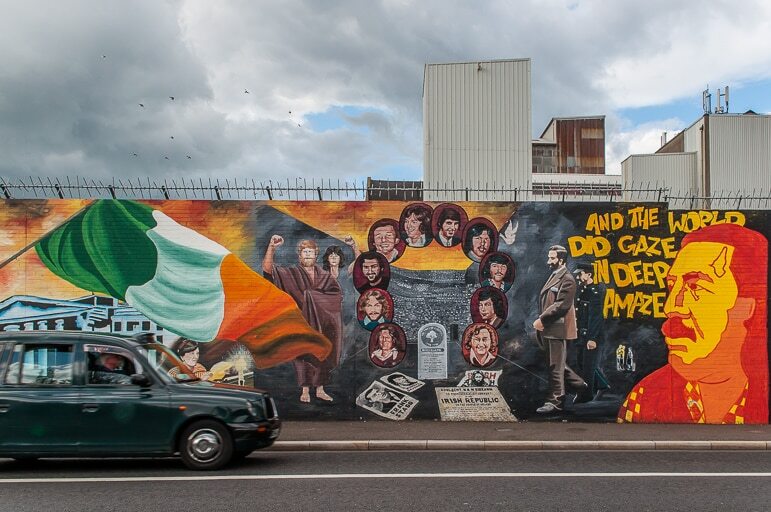 Instead, the essence of what divided the city was political – between those who wanted Northern Ireland to be part of the Republic of Ireland, and unionists – loyal to the British crown, who wanted Northern Ireland to stay in the union of the United Kingdom. And she’s far from alone. Nearly 20 years after the signing of the Good Friday Agreement – a landmark moment in the Northern Ireland Peace Process – Belfast is at peace and a community united. Yes, there are still differences, fleeting moments of tension, but unionists and nationalists rub along together and are benefitting even financially from this peace. Armed with a sense of where Belfast has been, I felt ready to explore where it is going, and more importantly, where I should be going on a weekend in the city. Belfast City is a swift 40-minute flight from London and you will soon find yourself out of the airport and ready to explore. This was the first thing that struck me about Belfast – how close it is to home, how quickly you can get into the city – just 15 minutes by taxi, and how easy it was to get around – it’s very walkable. And even though its rising popularity means Belfast’s hotels are thriving, with current luxury stalwarts Malmaison, the Merchant and the Europa hotels often full, there’s a consignment of 3,500 hotel rooms planned for the city including further luxury boltholes – a sure sign of a city much in demand. Belfast is a stately city. Yes, there’s brutalist architecture in the Ulster Museum and magistrate’s court. 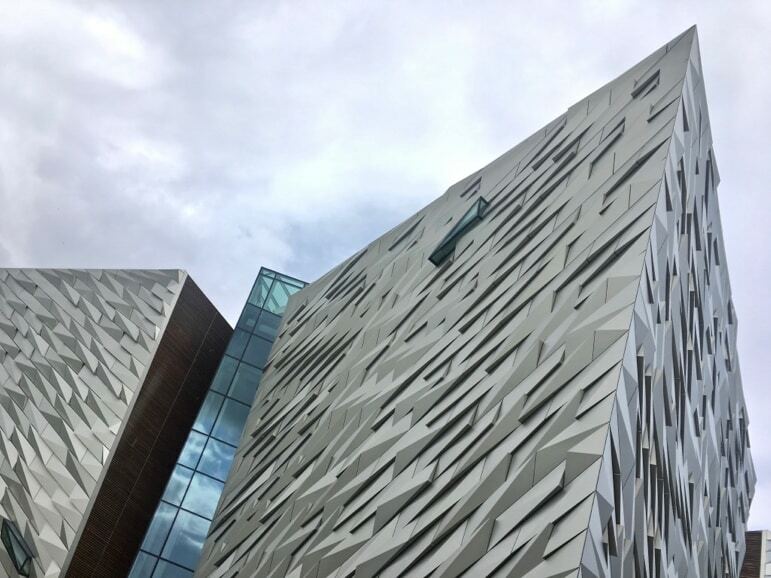 There’s modern design in Titanic Belfast’s exterior, fashioned like the hull of a ship. But its buildings are predominantly Victorian and Edwardian with even the Ulster Museum blending its Neoclassical pillars with the strong edges of brutalism. Then there’s Belfast Castle first built in Norman times – in the 12th century – but after it was destroyed by fire it was rebuilt in 1870. 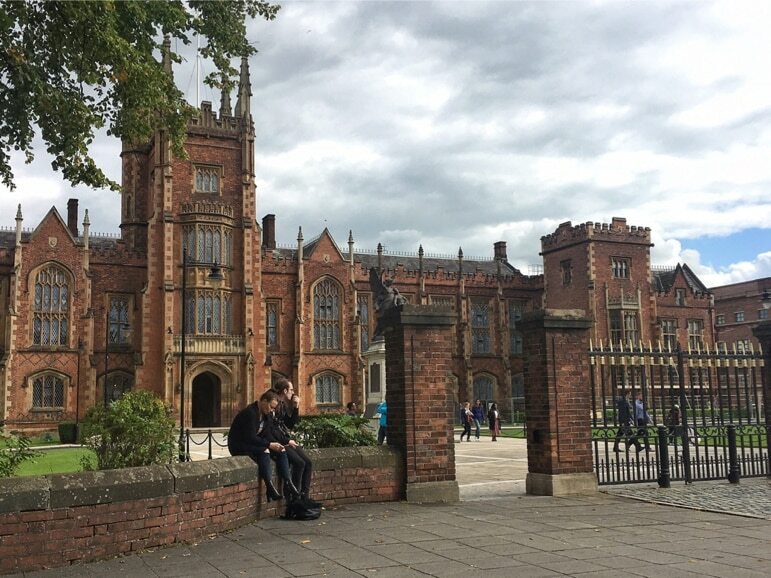 But it was Belfast’s Queens University that first stole my eye with its red brick Lanyon Building which took its inspiration from Gothic and Tudor styles, along with the domed City Hall and Albert Memorial Clock just a few of many buildings that vie for your attention here. Next within modern walls, I unearthed the story of one of Belfast’s greatest, though tragically most short-lived, exports. 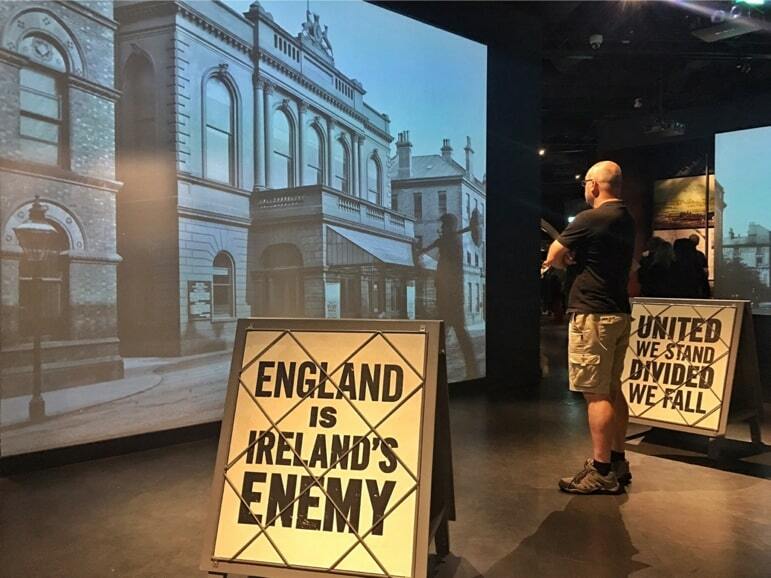 However, Titanic Belfast isn’t just a museum telling the history of the tragedy, it charts the city’s social history and economic growth against the background of its shipbuilding past. The Titanic was one of many liners delivered to White Star Line by shipbuilders Harland & Wolff at a time when Belfast was a shipbuilding powerhouse and the industry touched on much of life in the city. Through first-person accounts from the time, letters, and memoirs, it highlights Belfast society at the turn of the 20th century. I particularly loved a glimpse of life on board the Titanic and the stories of those who sailed with her, some, but not all, of whom met their untimely end in perhaps the world’s most well documented naval disaster. It was fascinating to get a sense of what luxury accommodation on board a ship was like in the early 20th century and to see how other classes travelled onboard. That evening I joined a food tour of Belfast run by Taste & Tour. With Belfast rich in good food and drinking options, the company runs a number of tasting tours, some focused around whiskey or the city’s craft beer scene. 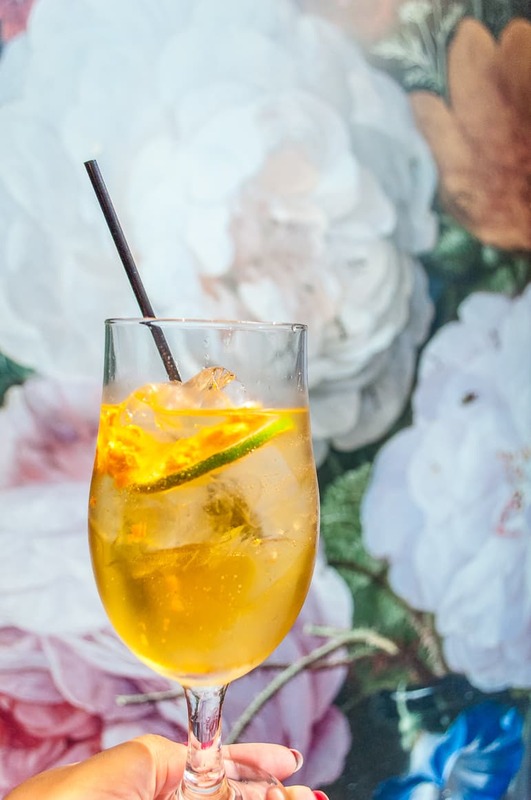 But this one was a broad brush of some of the city’s best eats, and we started as any meal should, with an aperitif – gin at Muriel’s Café Bar. 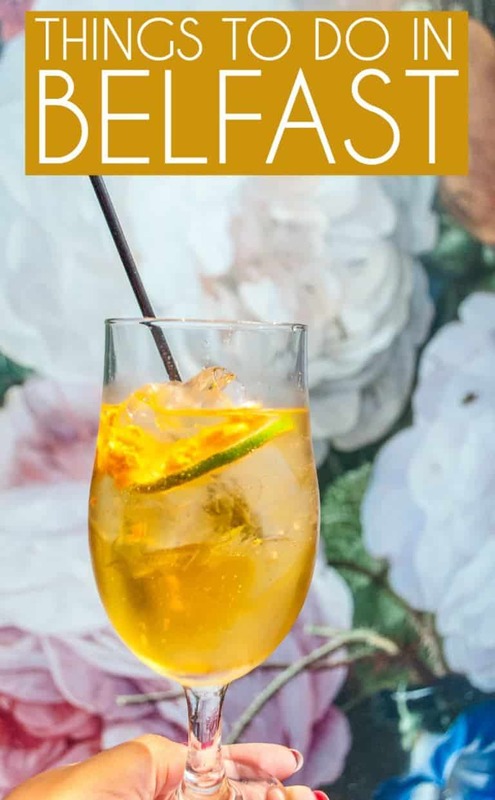 Catching a drink at the bar has become one of the most popular things to do in Belfast, in particular, the house blended, jawbox gin, served with ginger ale and honeycomb. Gin is big business right now and so trendy it hurts, but I’m a self-declared non-gin drinker – I just don’t see the attraction in what is quite a bitter beverage. But the jawbox gin even got my seal of approval – sweet, mildly spicy. It was perfect refreshment after a day of sightseeing. 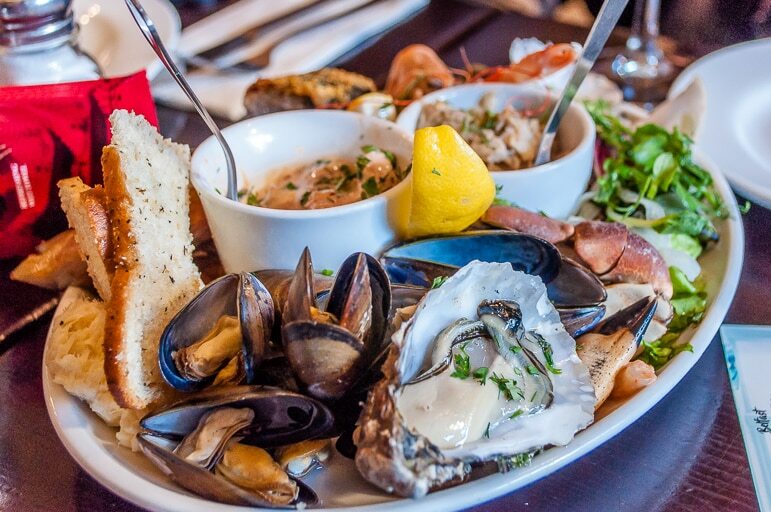 Our tour continued to Mourne Seafood where we sampled some of the freshest catch including delectable oysters and prawns – it should be high on the list of any visitor to the city. 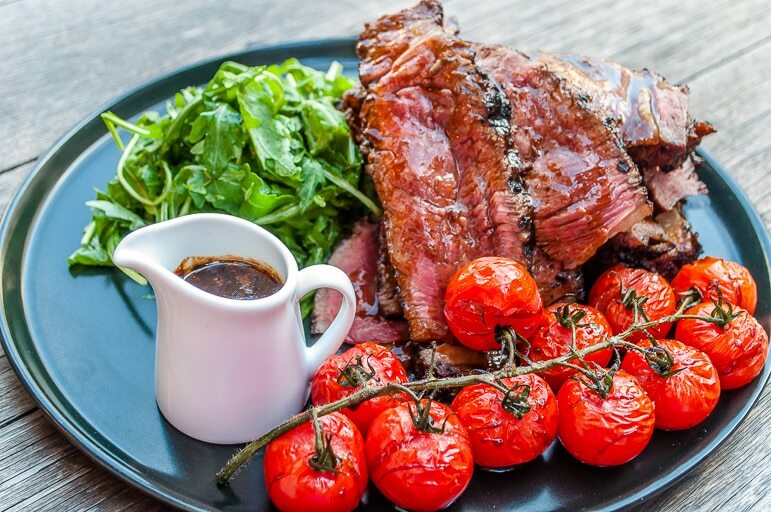 And then it was on to our mains – perfectly cooked chargrilled sirloin steak at Italian restaurant Coppi and a thoroughly delicious dish at Muddlers Club Restaurant in the Cathedral Quarter. This is one of those restaurants where they don’t tell you exactly what the dish is, but rather its ingredients, so expect to be a little confused but delighted as Muddlers has some wonderful concoctions. 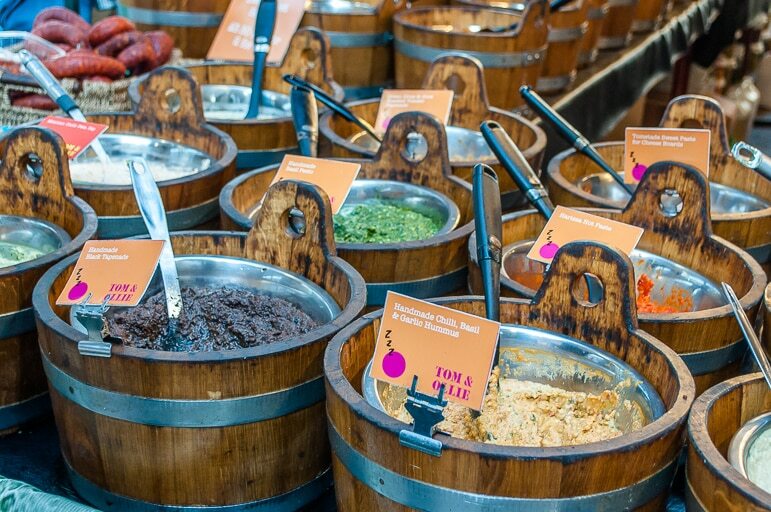 The quality of the food in the city was no surprise to me though – Irish food has long gone beyond the staples of potatoes and cabbage to show creative strength and depth of flavour. And the Cathedral Quarter in the heart of Belfast is where some of its best restaurants are to be found, including Hadskis, which I visited the following night and was impressed by their hearty dishes. 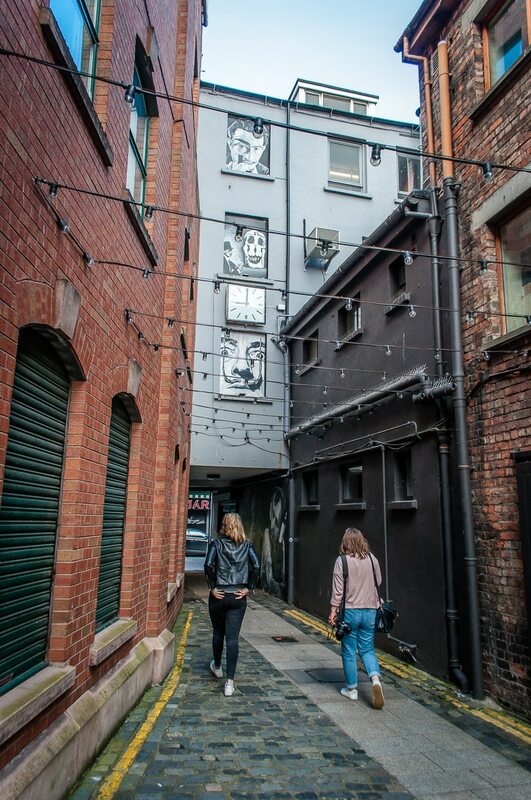 But the Cathedral Quarter is also one of the best places to visit in Belfast if you’re ready for a night out in this young city. It’s where the city comes alive in any number of bars and more traditional pubs. 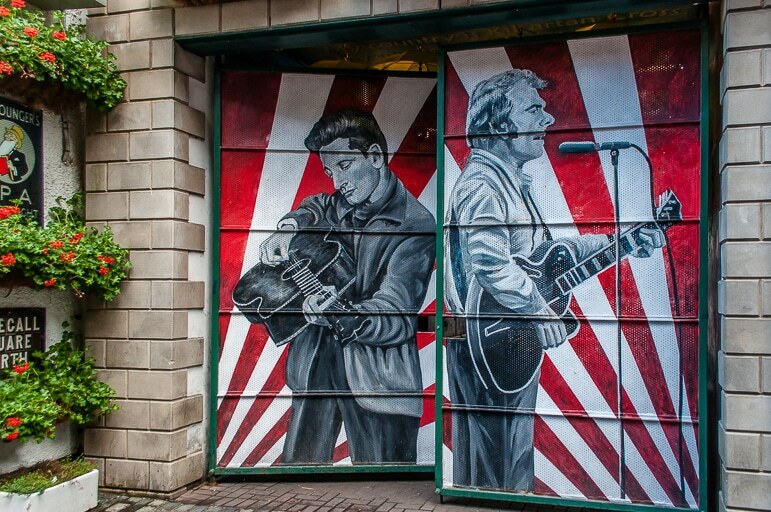 This isn’t one of the UK’s wild city centres where all bar the very young are to be found, it’s full of character and big on the Irish welcome. 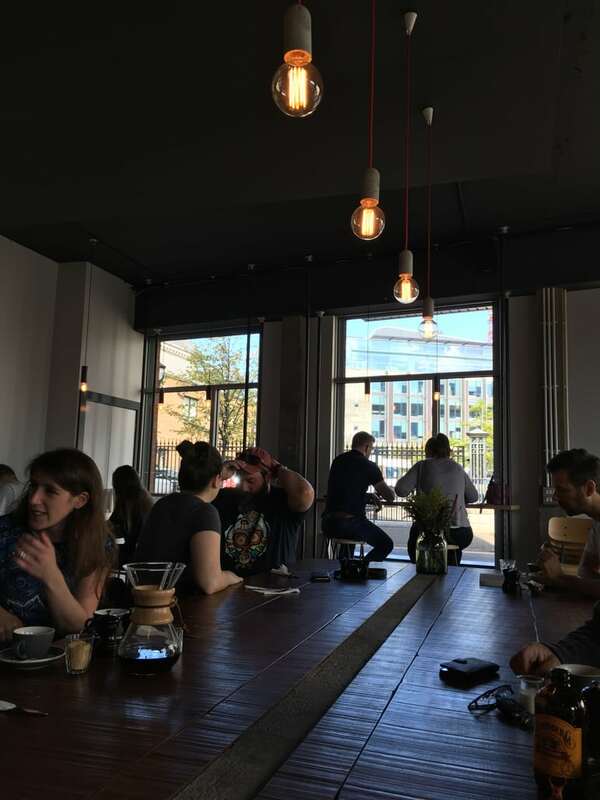 The next day I paused in a rather more relaxed Cathedral Quarter for coffee and tasty homemade cake at Established, a great little spot where coffee is well brewed, healthful breakfasts and lunches are served, and people pass the day away at communal tables. 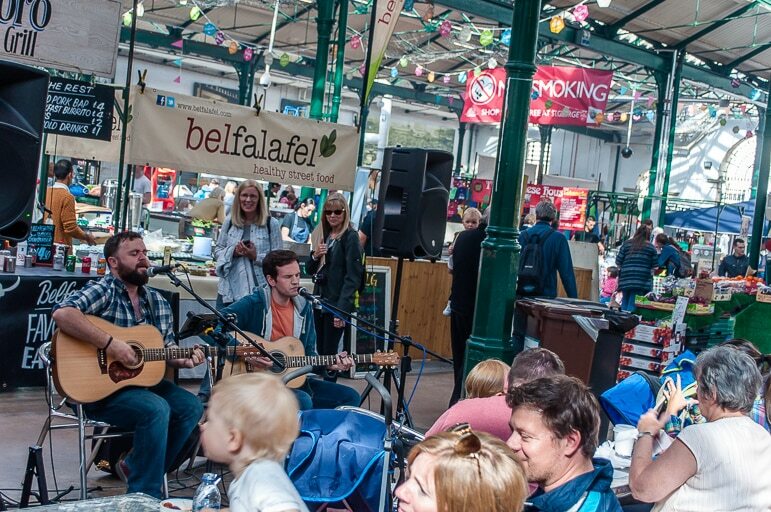 After refuelling, I was off to St Georges Market, though in truth it would be wise to head there on an empty stomach – there is plenty to indulge in at one of Belfast top places to visit. Behind a red brick frontage are all manner of stalls with farmer’s market-style produce from cheeses to breads, locally-made chocolate, to Java coffee and crêpes for eating on the go. There was a great atmosphere too with bands playing and people gathered around joining in with everything from folk classics like the Irish Rover to Prince’s Kiss. It was the perfect way to spend a Sunday and a great way to round off a trip to Northern Ireland’s capital. Full on the market’s goodness, it was time for me to hit the shops. I first took a short saunter to Victoria Square which features stores such as House of Fraser, Karen Millen, Kurt Geiger and Michael Kors, but also it has a glass dome from which you can join an hourly tour to take in great views of the city. But I also couldn’t resist stopping at local stores like Avoca and picking up yet more chocolate at Co Couture. 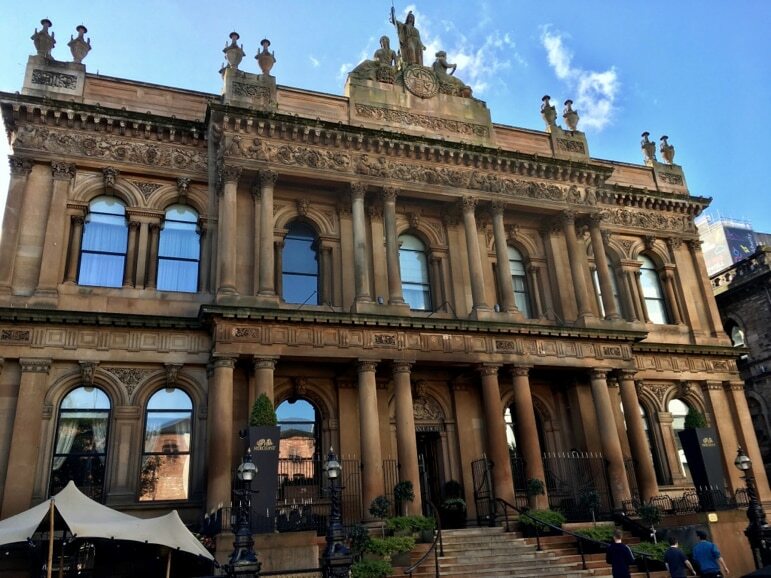 I stayed at the Malmaison Belfast. It was centrally located, had very comfortable beds, great breakfasts and I loved the generously-sized toiletries in the bathroom with witty slogans. It also has a cocktail bar with great mixologists and stays open until the last person leaves. You should also consider and Merchant Hotel, the Fitzwilliam Hotel and the recently opened Titanic Hotel for a modern take on the luxury liner experience.